It can maintain a neutral temperature – Have you experienced waking up in the middle of the night because your sleeping surface felt too hot or too cold? You can avoid that when you sleep on an natural latex mattress. The material stays neutral, so it does not become hot or cold. Natural latex breathes – As long as you have the right foundation, air should properly circulate in and around the mattress to help perspiration and moisture dissipate quickly. This way, the mattress will not retain moisture, which is often the culprit for mold, fungus, and bacteria growth. Like memory foam, but without the harmful chemicals and strange odor – Natural latex mattress supports your body by following your contours. This way, key areas on your body, like the lower back, knees, and hips are supported, and you can wake up without having to worry about the body parts aching and feeling sore. Memory foam may have the same features, too, but it is made of synthetic foam that has been treated with chemicals that can be dangerous to your health in the long run. 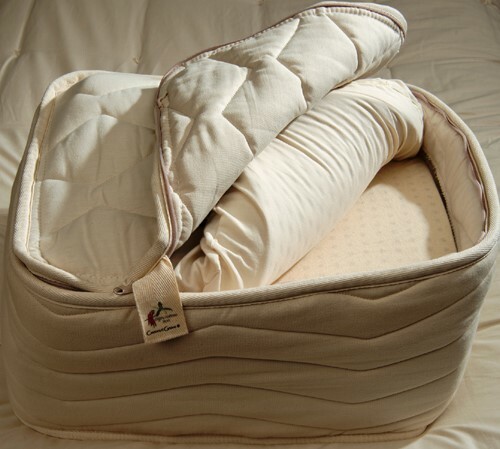 Organic latex mattresses will not off-gas any toxic substances. Durable – Natural latex is durable and as long as you practice proper care and maintenance, your mattress can last for more than 20 years without showing any signs of deterioration. Eliminates transference of motion – The phenomenon occurs when you move or toss and turn on your bed and your action causes the person sleeping beside you to bounce or feel your movements. The Natural latex mattress eliminates that.